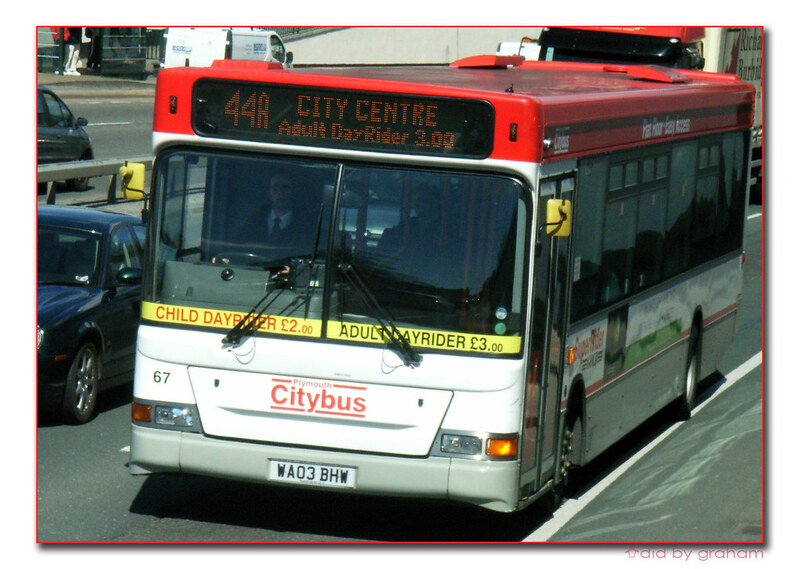 February 2011 the post privatisation livery, thankfully short lived. we certainly have had quite a few non yellow buses on the 50/51 recently. 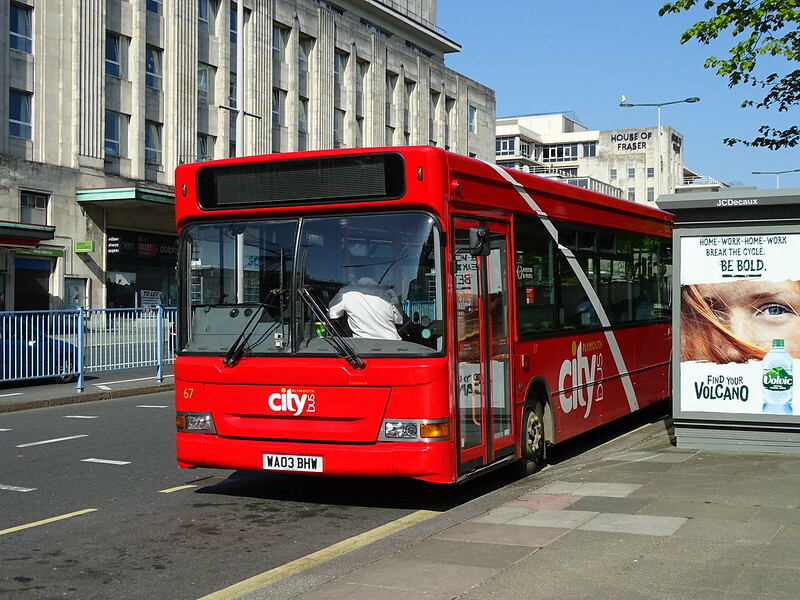 Had a Citaro this week, first one I have been on for ages. Was a bit full though! Must be a bus shortage on the 50/51 as I have seen dart like 17/61/65 covering on separate days so far this year. 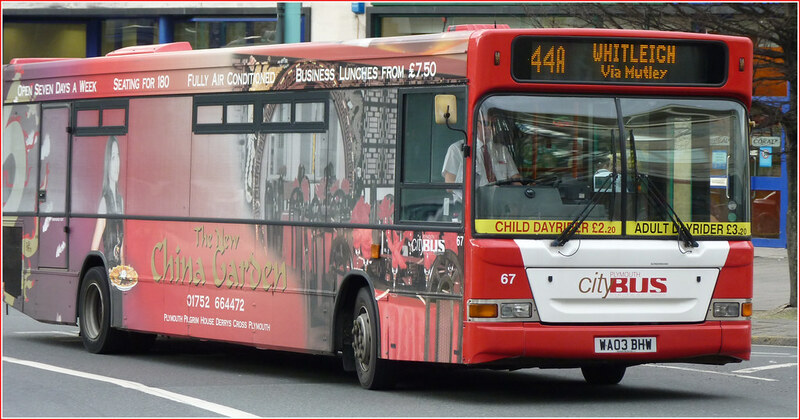 This service has also had 480/481/483/484/485/487 covering this year as well as the normal swoop/advert E400s. i still dont know what the SuperRider Gold was on the side of these darts but no more of the Stenning left now but still lots of the old Stenning logo around, B7RLES and E200s screens that work shows that old logo still. witch by the way Graham i had a E200 on the 50 to derriford and the screen inside show the next stop had no clue they still worked!